A hidden treasure. 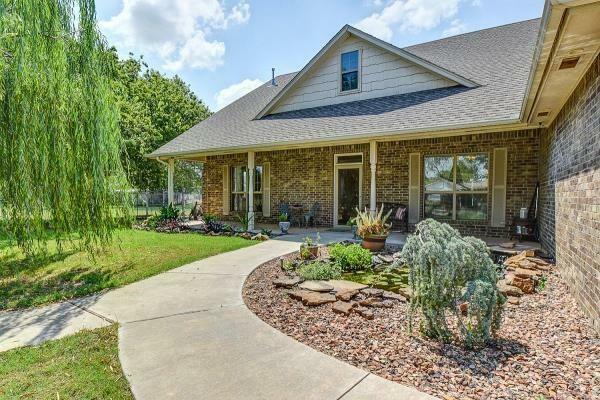 Newer home located just minutes from I44. This property is located in a very quiet area with minimal traffic. One acre with a 30x36 wired and concrete floor. The home has a great floor plan. Large living area with see thru fireplace, beautiful crown molding, awesome kitchen, wonderful master suite with large closet, double vanities, walkin shower and whirlpool. The home is of 2x6 construction, large windows, ceiling fans throughout. The kitchen has a builtin gas stove, breakfast bar, loads of cabinets with drawers, eating area. The other two bedrooms have walkin closets and the bathroom between has tile shower surround & dbl vanity. There is an above ground pool, 8x10 storm cellar, large porchs, Koa pond and one the most beautiful Weeping Willow trees. Come check this one out.